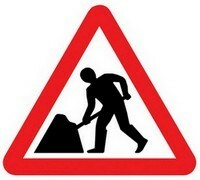 Please be aware of scheduled network maintenance due to take place shortly. During the maintenance windows shown below your station will be restarted, but rest assured that your station will recover automatically with no action needed from your side. As this is system-wide maintenance, all services will be affected. As a result of this, we have a number of maintenance windows scheduled as shown below and whilst we will endeavor to minimize the disruption, it is possible that your station may be restarted during more than one of the following maintenance windows. We thank you for your understanding and as always feel free to reach out to our support team through http://support.spacial.com with any questions or concerns.